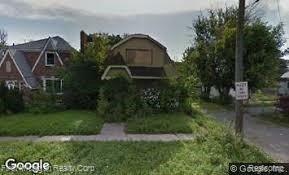 FANTASTIC HUGE BUNGALOW ON WEST SIDE, PERFECT FOR LARGE FAMILY WITH FULL BASEMENT. THE SELLER HAS RECENTLY REMODELED THIS HOME AND IT IS CURRENTLY BEING LEASED AT 900.00 MONTHLY!! THIS HOME HAS 5 BDS AND 2 FULL BATHS AND COULD EASILY BE CONVERTED TO A DUPLEX. Listing provided courtesy of First Michigan Realty Corp.